1. Select "My Webinar" page and select the webinar you wish to manage. 2. Click "Manage webinar" page and click "Add to Calendar" under "Date and Time" category. 3. 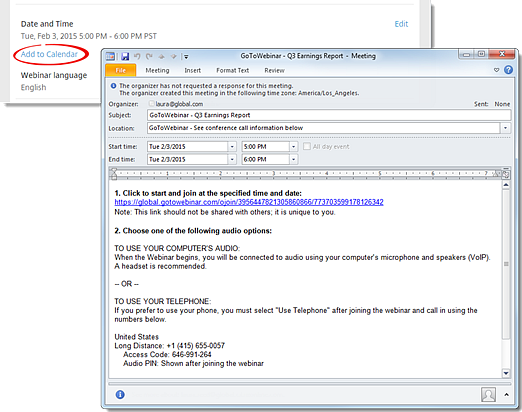 A new Outlook calendar item pre-populated with the webinar information will automatically start downloading.